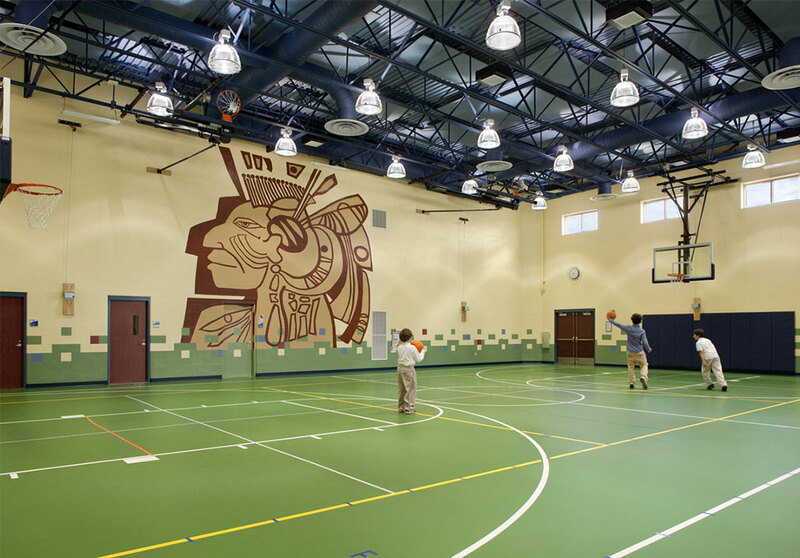 Portage Path Community Center - PRIME AE Group, Inc. 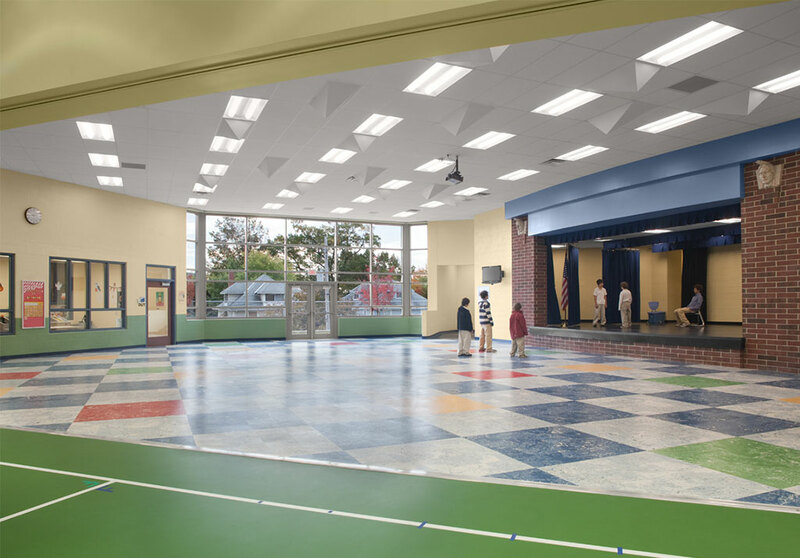 This Community Learning Center functions as an elementary school during the day and is available for community use and functions during evenings, weekends, and summers. The scope of work included site analysis, all design phases, and construction administration. Also included were presentations to community planning teams, city planners, the Mayor, Akron Public Schools, and joint City of Akron/Akron Public Schools Board of Review. 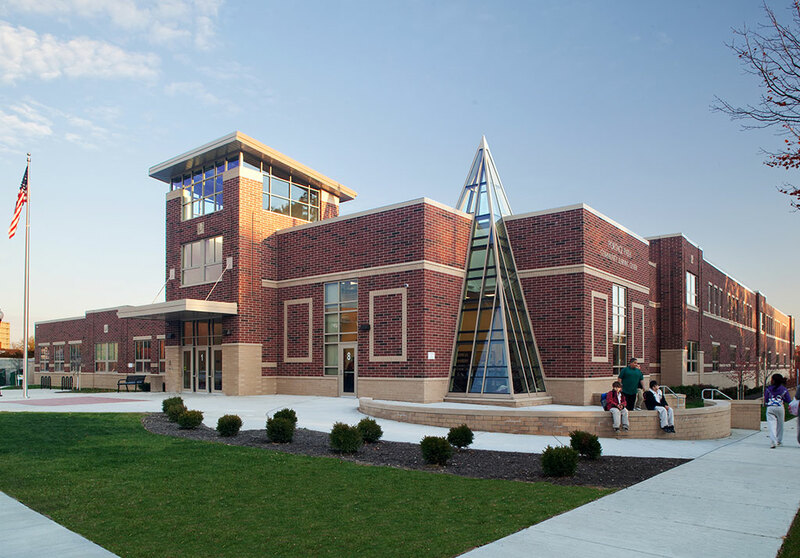 The building, sitting on a 2.5 acre triangular-shaped site, consists of 56,600 SF and includes four kindergartens, fifteen classrooms, three special education classrooms and resource rooms, a media center, and cafetorium with stage connected to the 3,500 SF gymnasium.